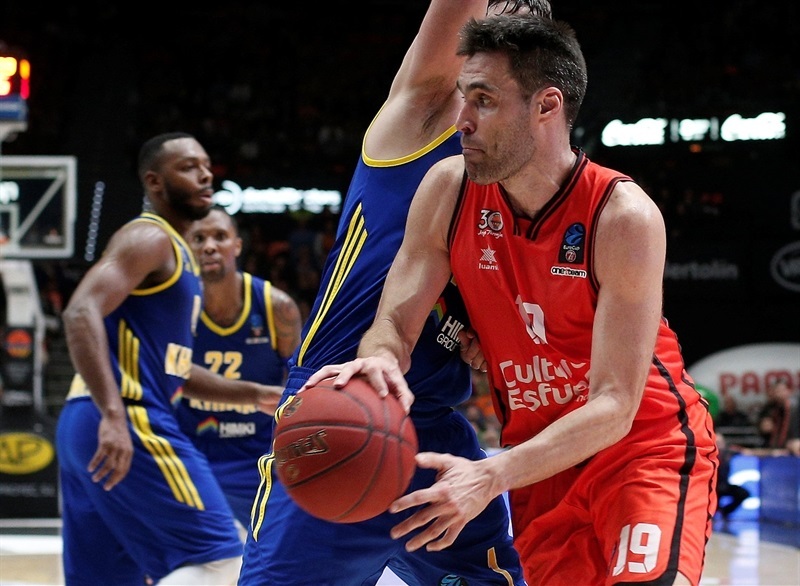 In an intense showdown that went down to the closing minutes, Valencia Basket started its 7DAYS Eurocup quarterfinal playoffs series by downing Khimki Moscow Region 88-82 at home in Game 1 on Tuesday. 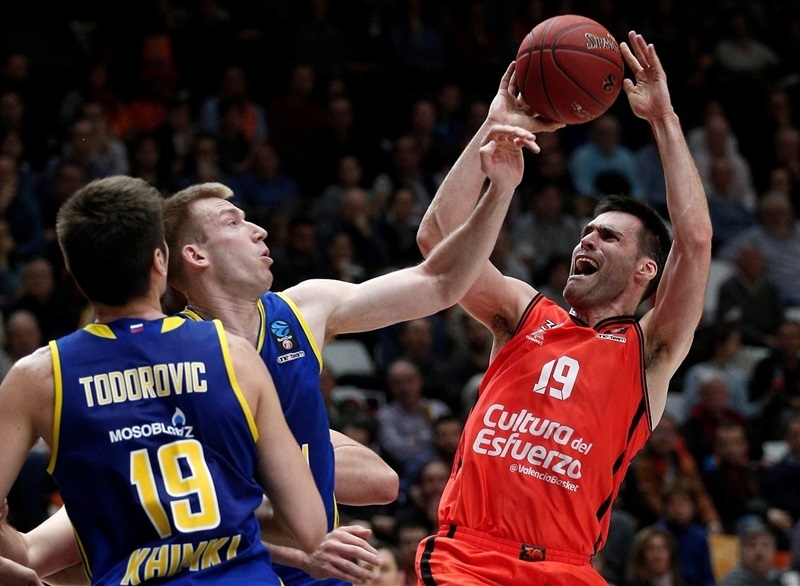 Valencia grabbed its 13th consecutive win in this year's EuroCup and could advance to the semifinals with a road win in Game 1 at Basketball Center of Moscow Region in Khimki, Russia, on Friday. 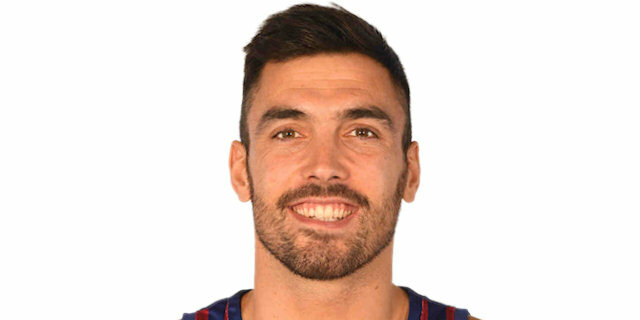 Fernando San Emeterio led the winners with 17 points, 8 rebounds and 5 assists and Sam Van Rossom and Bojan Dubljevic each scored 11 points for Valencia. Dubljevic added 11 rebounds for a double-double. Alexey Shved led Khimki with 24 point, 5 rebounds and 7 assists, Robbie Hummel netted 13 points and E.J. Rowland had 12 for the visitors. 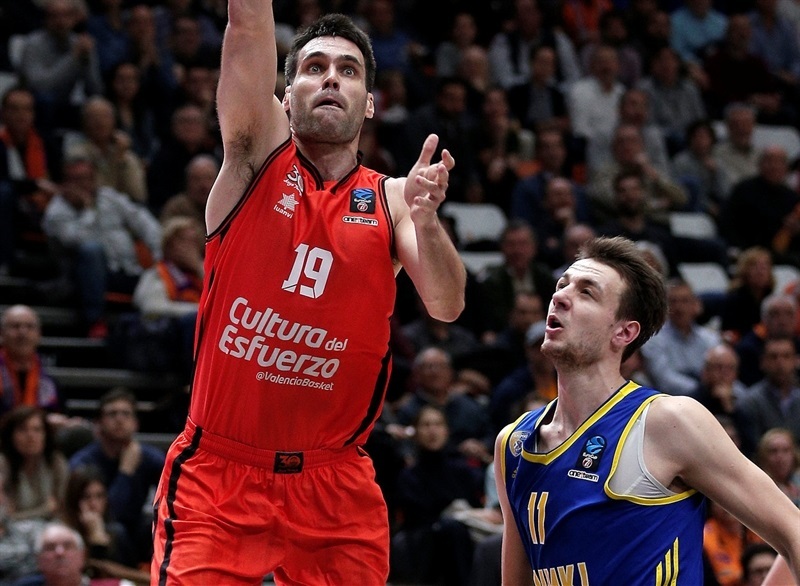 Valencia dominated the boards with 57 rebounds, which was a EuroCup season high, the third-highest mark in competition history and the all-time record in a non-overtime game. Its 27 offensive rebounds is also a EuroCup record. 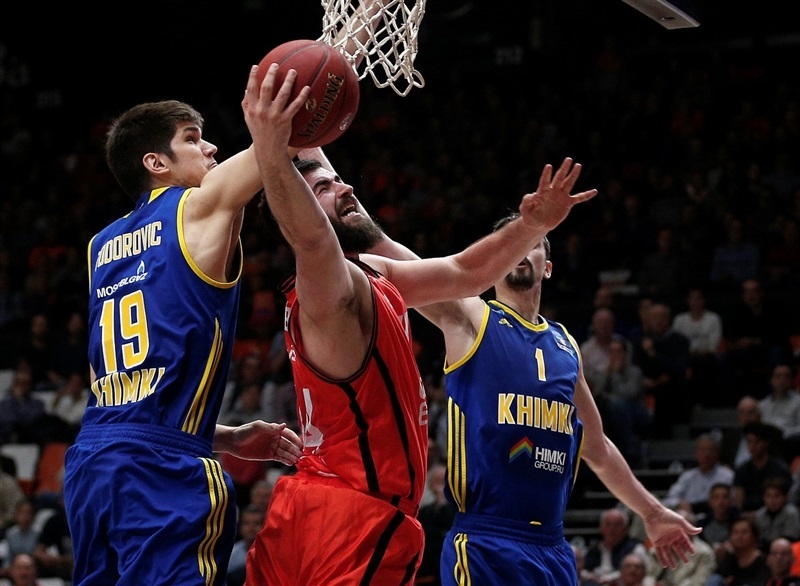 Valencia outrebounded Khimki 57-30, which when added to the visitors' poor three-point shooting (6 of 27, 22.2%) allowed Valencia to take the lead in the series. 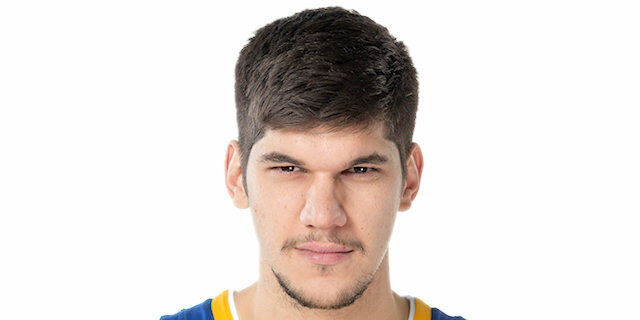 Marko Todorovic got Khimki going with a layup and got help from Rowland and Shved to give the visitors a 2-6 lead. Slava Kravtsov scored down low, but left the game with a sprained ankle. Rafa Martinez struck twice from downtown and a jumper by Luke Sikma gave Valencia its first lead, 14-12. Todorovic and Hummel tried to change things for Khimki, but back-to-back triples by Joan Sastre and Van Rossom made it 24-17. Jacob Pullen and Vyacheslav Zaitcev combined for all the points in a 0-7 run, but a three-pointer by Romain Sato put Valencia back ahead, 27-24, after 10 minutes. Sato hit free throws in a 12-0 run that Pierre Oriola capped with a layup, before Khimki called timeout at 36-24. Guillem Vives and San Emeterio each hit one from beyond the arc and Dubljevic soon added a layup that broke the game open at 48-30. 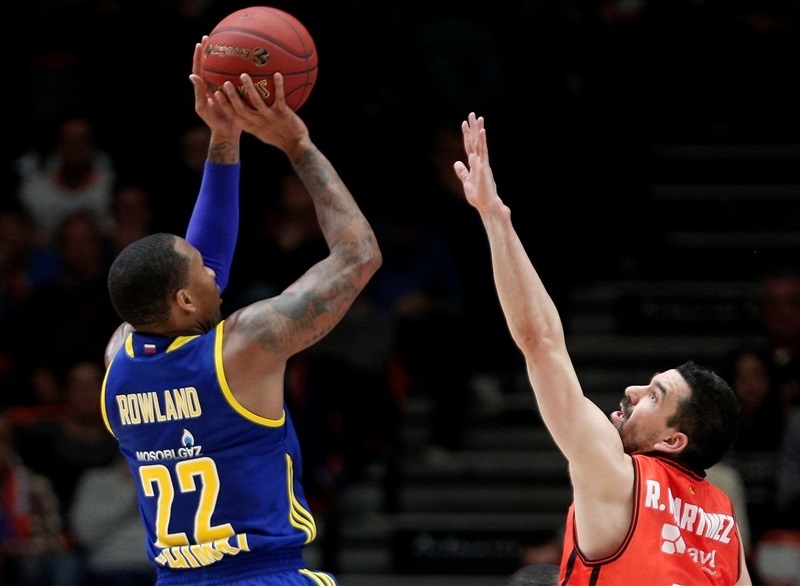 Rowland and an unstoppable Shved stepped up for Khimki, but Sikma, Van Rossom and Dubljevic kept Valencia way ahead, 59-42, at halftime. Hummel and Rowland fueled a 0-7 run, which Shved capped with a fast break slam to bring Khimki back to life, 63-52. A fast break layup by Rowland soon got Khimki even closer, 65-56. Valencia kept going to the foul line often, but Shved downed a triple and also hit free throws to make it 72-62 through three quarters. 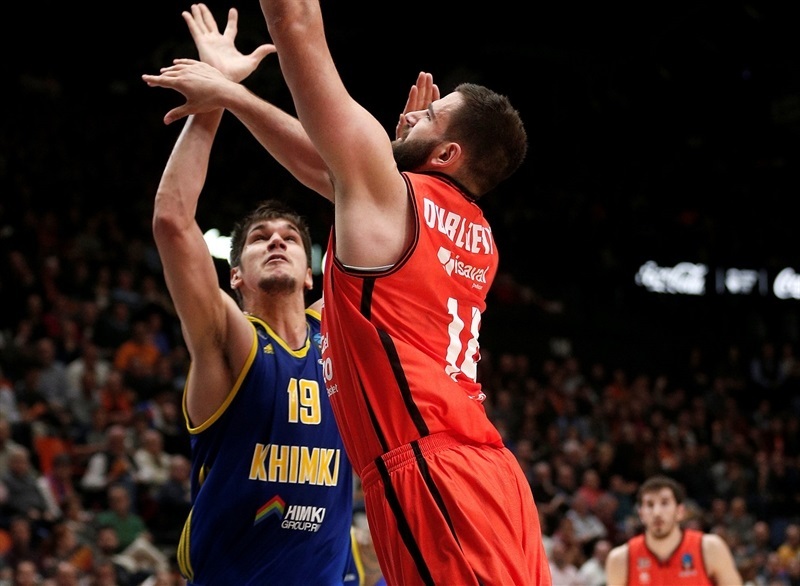 Dmitry Sokolov followed a layup with free throws to bring Khimki within 72-66 early in the fourth quarter. 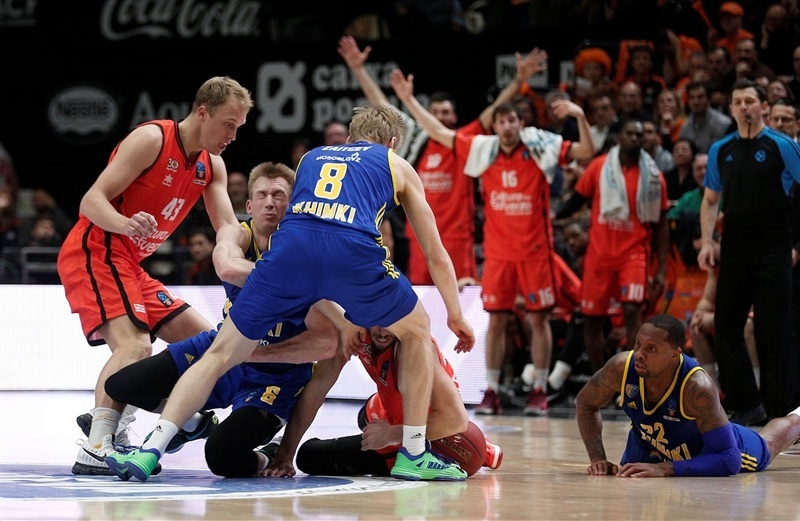 Sastre and Vives tried to rescue Valencia, but Sokolov stayed strong and a fast break layup by Shved got Khimki within 78-75 with under 4 minutes left. Back-to-back layups turned the game into a thriller at 82-80 with 59.5 seconds left, but San Emeterio hit a critical jumper and Dubljevic added free throws to seal the outcome at 86-80 with 16.6 seconds left. 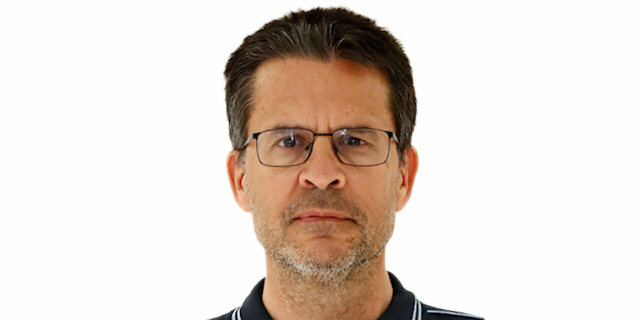 "It was a very difficult game, with an excellent first half in which we played at a very high level both in offense and defense. Scoring gives us intensity and we did very well. 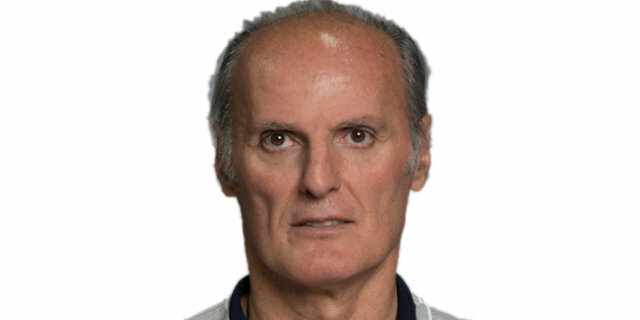 In the second half it was the opposite, with great intensity, but without accuracy, and this is more complicated. I am happy with the attitude of the team because when we did not score, we did not sink. We fought, we played with a very good mentality and we struggled to win the game." "It was like two games in 1. In the first half Valencia played well, they ran well, scored a lot and we played bad defense. In the second half we improved, but at the right time we came back. We were in too much of a hurry, we needed some patience. I hope we can improve some details, despite the fact that they are one of the best teams in Spain and in Europe, I think we have chances in the next game." "In the first half we were better. From the technical foul till the end, the gym was great. We knew their third quarter was going to be good; it's their good quarter, but in the end, good defense let us win the game." "In the beginning we didn’t enter the game as we should have in a big game like this one, but we had a reaction, we played better... They had a lot of rebounds. It looked impossible at halftime and in the and we had the ball to tie, so that should be good for us in next game."